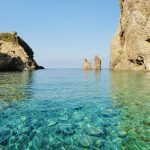 Wonderful and easily accessible, the archipelago of the Pontine Islands is located in the Tyrrhenian Sea center and includes Ponza, Palmarola, Zannone and Gavi, Ventotene and Santo Stefano isles. Fantastic places, some real corners of paradise just a short distance from Latina town. Our staff will show you the best way to reach them organizing your movements and preserving the experience enthusiasm to live the isles. 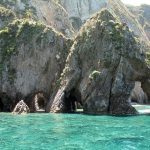 The Ponziane Islands (also called incorrectly Pontine Islands) create an archipelago in the Tirreno Sea, off the coast of the Gulf of Gaeta, have a total population of about 4,000 inhabitants (Ponzesi), which during summer time increases cause of an intense tourist movement. The municipalities of the archipelago, formerly belonging to the province of Terra di Lavoro, and after the suppression of this, the province of Naples, were transferred under Fascism to the province of Littoria (Latina), along with the district of Sora. The islands are accessible by ferry or hydrofoil from Formia, Anzio, Terracina, San Felice Circeo, Naples, Pozzuoli and Ischia. 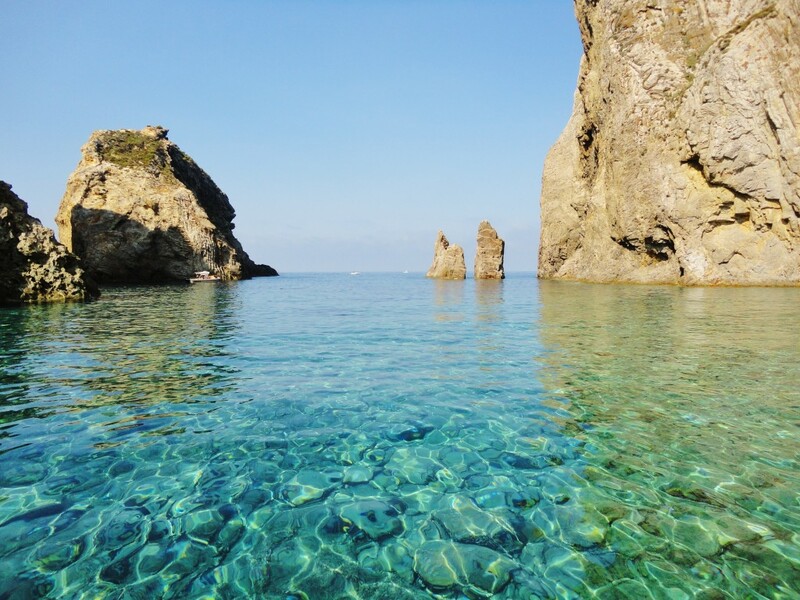 Ponza, whose name derives from the ancient greek Pòntos, Πόντος or Pontia, Πόντια, or “sea”, has an area of ​​7.5 km² and is almost completely hilly: dominated in the middle by the mountains Core, Tre Venti and Pagliaro, reaches maximum altitude with Mount Guardia where it possible to see Guardia lighthouse. Its jagged beaches and mostly rocky, are composed of kaolin and tuff, demonstrating, along with numerous volcanic craters but still recognizable, the origin volcanic island. 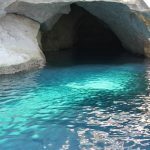 The presence of underwater caves and cliffs annually attract thousands of fans, famous are also the Cliff and the Faraglioni of Lucia Rosa, who take their name from the protagonist of a real event in the nineteenth century tragedy. Lucia Rosa was a young woman of nineteen years old, in love with a poor farmer but prevented from marrying for the opposition of the family: the girl, in despair, committed suicide by jumping from high cliffs, which was renamed in her name by the local inhabitants. 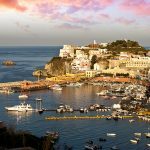 The island’s shape is long and narrow, and extends from the Stack La Guardia, in the south, to Punta Incense, north-east, overlooking the nearby island of Gavi; the latter is separated from Ponza by an arm of the sea of ​​just 120 meters. In 312 B.C. 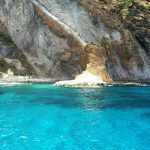 the Romans arrived on the island and destined Ponza mostly a place of confinement, but also resort, we can be admired in this island of numerous Roman villas ruins. In the eighties, it was discovered the wreck of an ancient Roman galley, probably sank in the first century A.D., carrying pottery and commissions. In the Middle Ages the island was a thriving religious and commercial center, thanks to the work of the Benedictine monks, who erected the Abbey of Santa Maria. 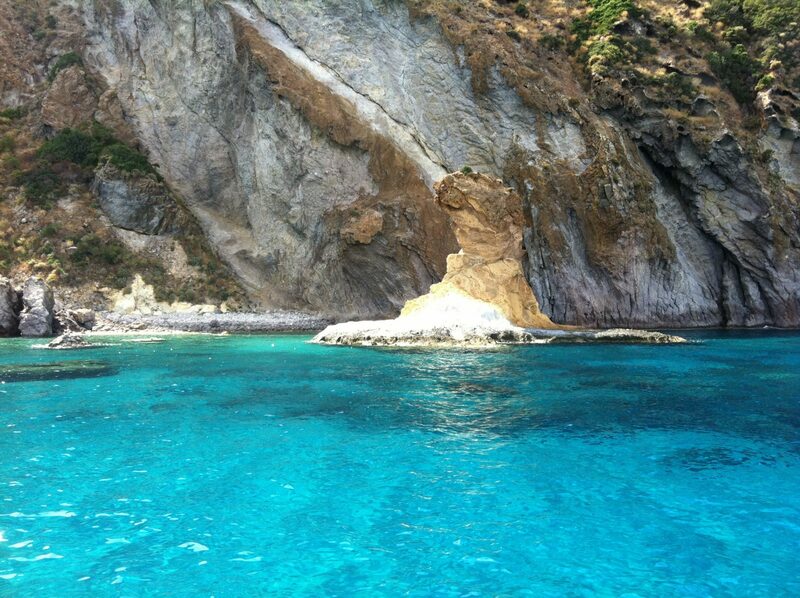 But the work of the monks was almost thwarted when, from the ninth century, Ponza was the subject of fierce raids by Saracen pirates. Only in 1202 the island went back to the ancient importance, thanks to Bull with which Pope Innocenzo III give again the custody at the monks Cistercian the Abbey of Santa Maria, which in 1233 was “embedded” in the Basilica of St. Anastasia al Palatino outside the walls from Rome. 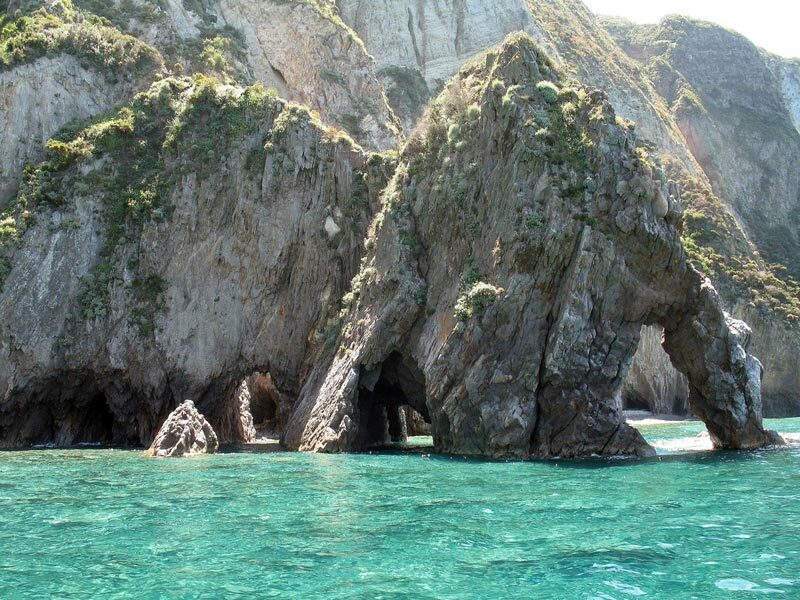 Ponza, which in 1322 was passed to the Fossanova abbey dependencies (with the bull by Pope Onorio III), in 1454 it was occupied by the Aragonesi, who expelled the monks from the island: those, who took refuge in Formia, founded the church of Santa Maria of Ponza. 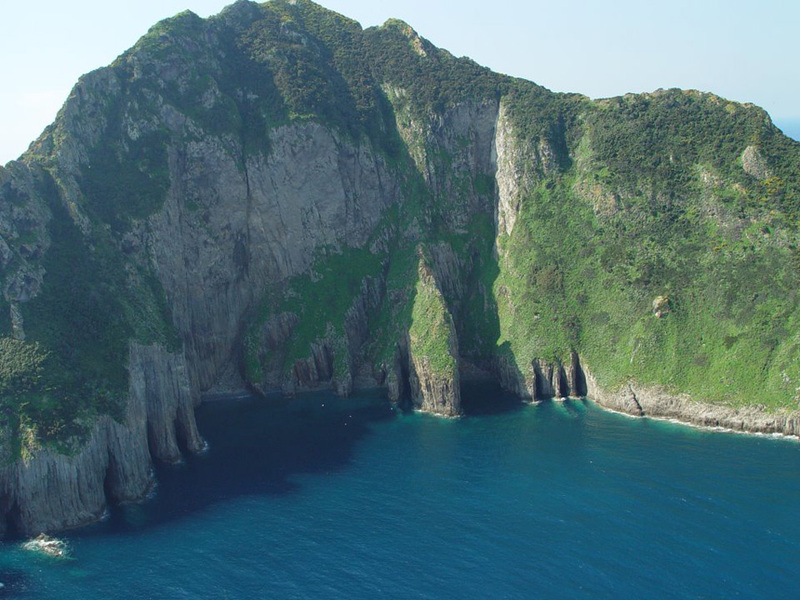 It is an island located in the archipelago of the Ponziane Islands, in Tirreno sea. 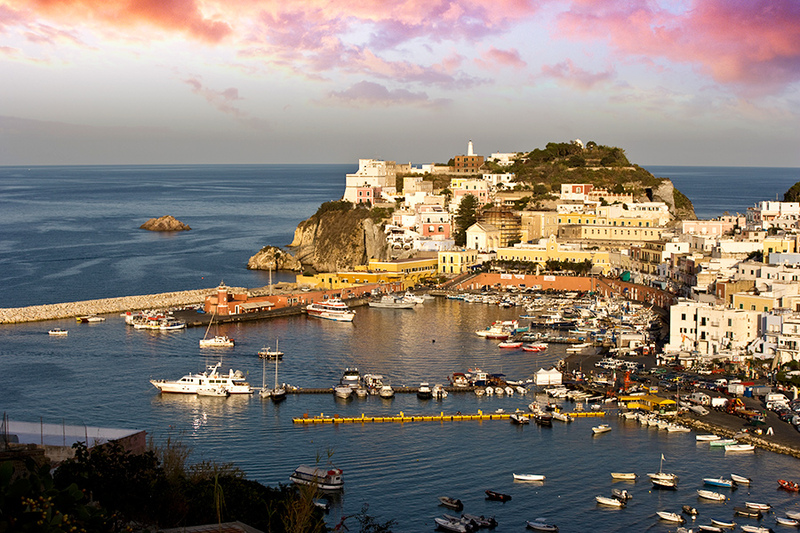 Located about 10 kilometers west of Ponza and is the third largest island of Pontine after Ponza and Ventotene. Also called “La Forcina” because of its forme, actually it takes its name from the dwarf palm, the only palm native to Europe, which grows wild on its surface.The island was known in antiquity by the name Palmaria. 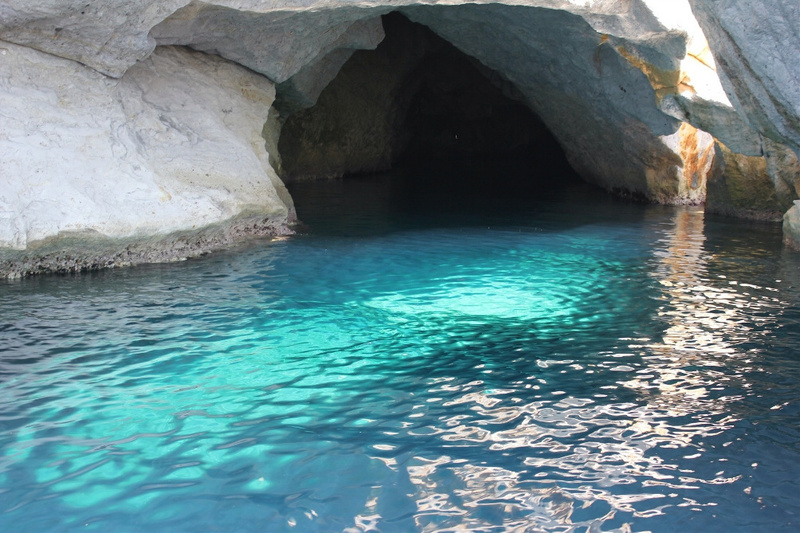 At Palmarola was exiled and died Pope Silverio, saint patron of the town of Ponza which is celebrated on June 20. The cliff of San Silverio welcomes on its top a small chapel that the popular tradition is built on the remains of a force house of the Saint. 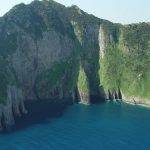 The island is a nature reserve and, thanks to its uncontaminated look and variety of its coasts, it is considered one of the most beautiful islands in the world. Inhabited only in summer, becomes a place of retreat for ponzesi who take refuge in the cave houses, typical residence carved into the rock of Palmarola. 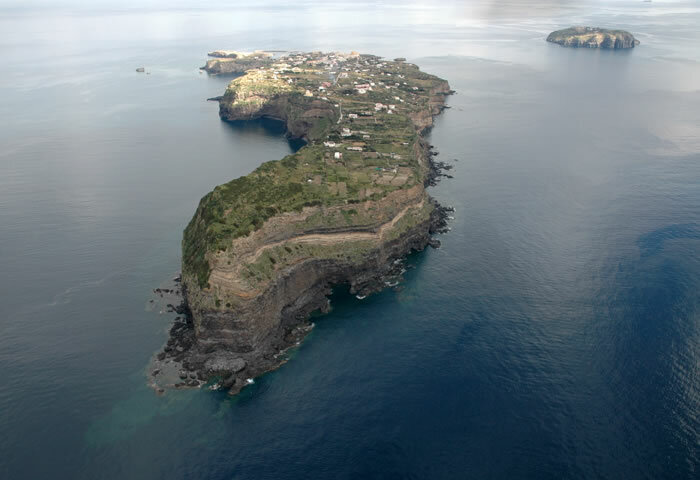 The municipal territory extends on the homonymous island and the nearby smaller island of Santo Stefano, both belonging to the archipelago of the Pontine Islands in the Tirreno sea. With an area of ​​1.54 square kilometers in size is the smallest town in central Italy. 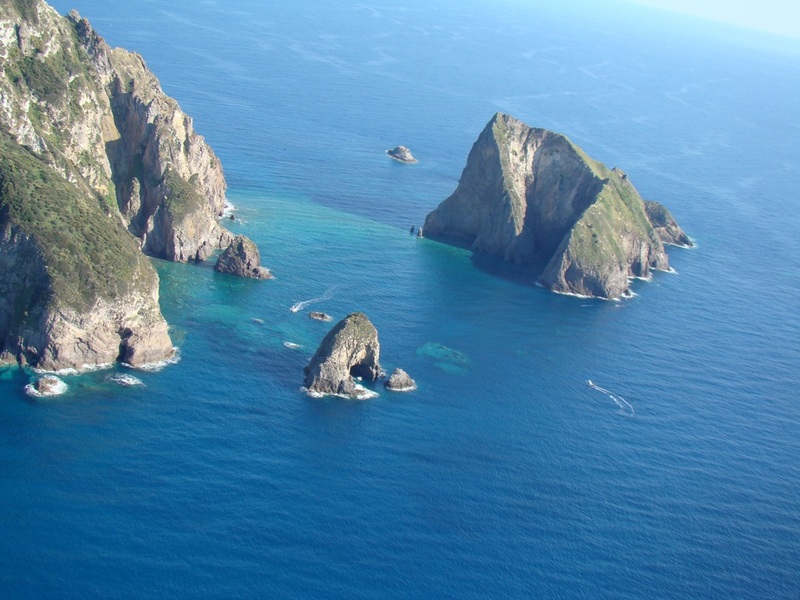 The island is characterized by tufa conformations. The first traces of human presence on the island date back to the late Neolithic period when the island became a point of passage and stop on the first ships that sailed the Tirreno sea. Called by the Greeks Pandataria or Pandaria, Ventotene began to be inhabited only when the emperor Augusto decided to build upon the current Punta Eolo a sumptuous holiday house that also included a port, thermal pools, tanks for rain water, aqueducts , fish ponds.In this house was later sent into exile the daughter of Augusto, Giulia accusated of violating the law on public moralizing. Later there will be confined to other famous Roman women: Agrippina Maggiore (sent here by Tiberio), Claudia Ottavia (expulsion by Nerone) and Flavia Domitilla, Domitian exiled by his uncle for his conversion to Christianity. 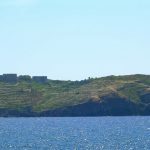 On the island it is also a small settlement that was home to a Christian community but in the early seventh century A.D. Ventotene was finally depopulated.In 1734 after the death of Elizabetta Farnese the island passed to his son Carlo III of Borbone, King of Naples, but only in the eighteenth century, Ferdinando IV of Borbone starts a recovery plan of the island of Ventotene.In 1769 was built the church of Santa Candida which will be consecrated in 1774. The engineer Francesco Carpi plans the construction of scenic ramps connecting the church to the port and the new fort surrounded by a moat. 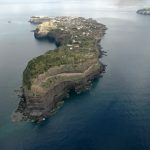 The island is initially intended to house for convicts and prostitutes, then starting from 1772 will mainly settlers from Naples and the Sorrento peninsula. 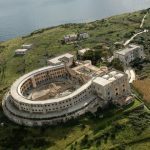 In parallel in 1795 completes the construction of the prison on the island of Santo Stefano where the convicts are locked up, and since 1813 the politic prisoners.During the fascism, in 1926 Ventotene becomes the place of imprisonment for many opponents of the regime. Will be exiled here’s former President Sandro Pertini, Giorgio Amendola, Mauro Scoccimarro, Giuseppe Romita, Luigi Longo, Giovanni Roveda, Peter Secchia, Altiero Spinelli and Pietro Grifone and many others. 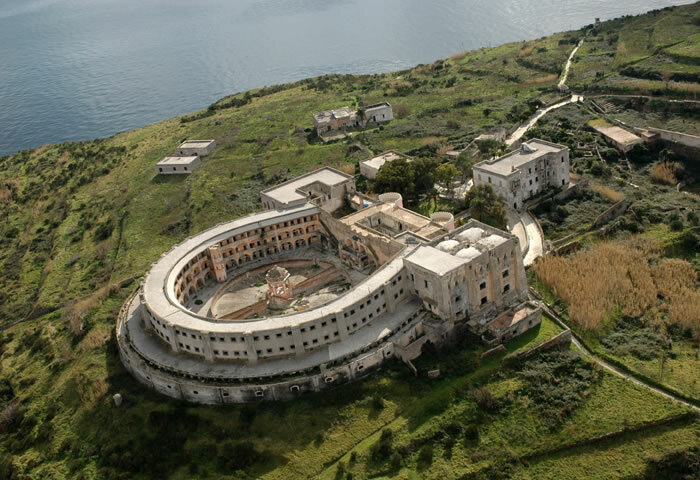 In 1940, live in Ventotene 900 confined guarded by 300 police men. The presence on the island of the most important personalities of anti fascism trasform Ventotene into a real political laboratory.In 1941, three confined Altiero Spinelli, Ernesto Rossi and Eugenio Colorni write the manifest “Towards a Europe free and united”, later known as the Ventotene Manifest who in full World War asked the union of European countries and who then will inspire the European integration process culminated with the birth of the European Union in 1992.Il July 24, 1943, during the World war II, British aircraft hit the steamer “Saint Lucia” off the coast of Ventotene: 60 people died in the tragedy. A few days later, on July 27 with the fall of fascism, the political prisoners take control of the island and establish a “Republic of Ventotene”. At September 9 is occupied by the Americans. With the liberation, in 1945, he returned to Italy. Information at the reception of Park Hotel.